Gary Larsen was born in Connecticut and, after college, began traveling throughout the United States. Now living in the Adirondack Mountains of Upstate New York with his artist wife, Ann Larsen, he travels frequently throughout New England, the Southeast Coast, the Rocky Mountain Region, many other western states and Canada. 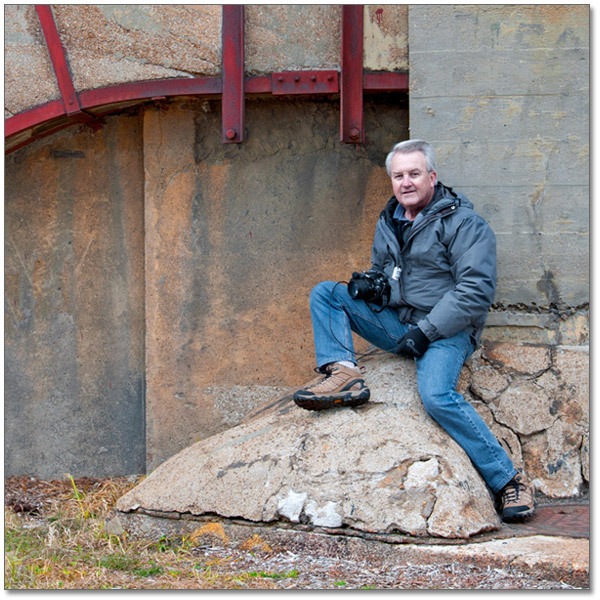 He has been deeply interested in photography for over 30 years. Gary has taken classes and workshops with well-known photographers George Lepp, John Shaw, Weldon Lee and B. Moose Peterson. Drawn to the influence of light on the color, texture and shape of landscapes, structures and flowers, his images are created on 35mm digital media. He has become increasingly committed to the intriguing qualities of infrared photography and the unique images that result. He finds waterfalls, lighthouses and covered bridges welcome subjects and enjoys close-up photography for the detailed beauty of flowers. Gary is inspired by man’s aging structures being consumed by nature. While materials weather, wither and waste away, ever changing shapes and colors capture subtle light, shadows and new patinas. He finds beauty in the bending lines and cracking paint of these “sculptures” as they droop and twist… and in the irony of their messages and surroundings.